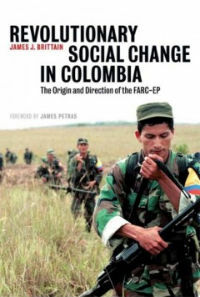 Ethnic conflict among the country’s poor has its root in the betrayal of socialism. Communism remains the answer. The troubles in Kyrgyzstan came to the attention of the world on 6 April in Talas, which is in the north of the country close to the Kazakh border. An anti-government demonstration turned violent, and sparked off a series of further anti-government demonstrations, despite the authorities imposing a state of emergency on 7 April. The government responded by arresting many opposition leaders, and the opposition in turn retaliated by occupying the internal security headquarters and a state TV channel in the capital, Bishkek (formerly Frunze). During the course of the unrest, guards without warning opened fire on the unarmed crowds, causing 84 deaths and hundreds of people to be injured. With the government unable to take control of the situation, the then president of Kyrgyzstan, Kurmanbek Bakiyev, who originally came to power in 2005 in a US-fomented ‘Tulip revolution’, was on 15 April forced to flee the capital as thousands of people, angered by the rising prices of utilities imposed by companies privatised by Bakiyev (and in which his family members have acquired major interests), stormed the presidential palace. An opposition – consisting of many politicians who also supported the US-financed Tulip revolution that brought Bakiyev to power – promptly declared that it had taken charge of the reins of state, with a former foreign minister, Roza Otunbayeva, acting as head of state (she is believed to be a compromise candidate with virtually no power base in the country). 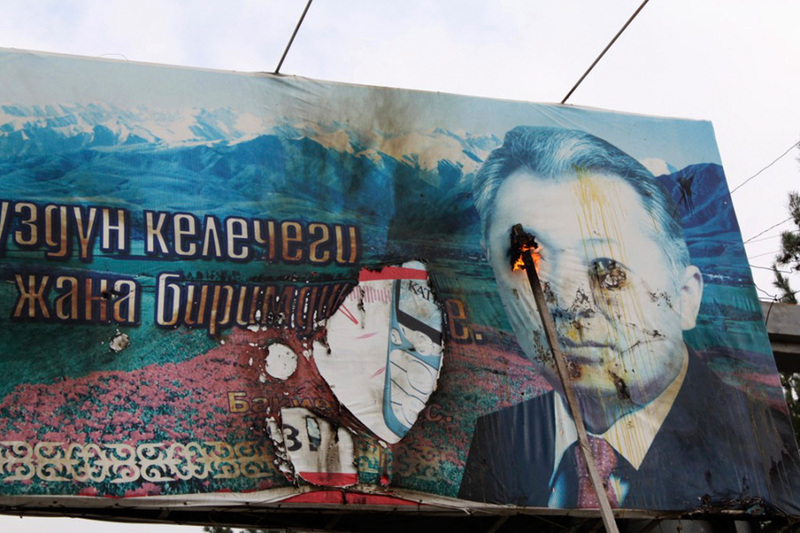 No sooner had Bakiyev left the country than his supporters started hitting back. On 18 April, Bakiyev supporters seized a regional government office in Jalalabad, as well as the interior affairs headquarters, and appointed a governor and head of provincial affairs. Throughout towns in the south of the country, local ethnic Kyrgyz people demonstrated against appointments of officials made by the Otunbaeva government, while in Osh, the protests of law-enforcement workers against the appointment as interior minister of Bolot Sherniazov (leader of the anti-Bakiyev protests in Talas) forced the new government to replace him with Bakyt Alymbekov, who had once been a deputy minister under Bakiyev. In Kysyl-Kya demonstrators prevented the newly-appointed mayor, Elmira Arapova from accessing her office. Besides problems in the south, there was also trouble in the north. On 19 April, upwards of 1,000 people, again believed to be mainly ethnic Kyrgyz, tried forcibly to occupy land belonging to ethnic Russians and Meskhetian Turks in and around Bishkek (the capital), and in the nearby village of Mayevka. Once again, these events provoked bloodshed, with at least five people killed and upwards of 30 injured. On 13 May, further bloody confrontations took place as numerous government buildings were stormed by Bakiyev supporters in Jalalabad, Batken and Osh, forcing the interim governor of Jalalabad to flee. On this occasion, there were reportedly nine deaths and 64 injured. However, although it was ethnic Kyrgyz who were doing everything they could to frustrate the attempts by central government to establish control over the southern region of the country, in fact the area has a large ethnic Uzbek minority population. When government forces were involved in trying to suppress the Kyrgyz protests by force, resentment turned against the ethnic Uzbek, who by and large supported the new government since they had long been discriminated against by preceding governments. This was a reprise of the ethnic tension that had flared up in 1991 at the time of the break-up of the Soviet Union. Subsequently, in mid-June this year, there were four days of severe race riots in the country’s southern cities, in particular Osh and Jalalabad. Eye-witness accounts say that local army and police units assisted the Kyrgyz in attacking Uzbeks, driving them out of their homes and reducing Uzbek areas to rubble. It was clearly an orchestrated campaign to cause ethnic conflict between peoples living in the region, reminiscent of the campaigns to provoke communities against each other in the former Yugoslavia, where people had been living happily and peacefully together for decades. Some 400,000 Uzbeks fled their homes, 100,000 or so of whom were admitted into Uzbekistan until the latter closed its borders to all other than the injured. Thousands are said to have been killed and many more injured, mainly with bullet wounds. Kyrgyzstan’s provisional government is blaming Bakiyev, who denies all involvement. However, he is the one who would most obviously benefit if the government that has replaced his is destabilised by the ethnic violence. The Uzbeks, it would seem, have now turned against the provisional government as it proved powerless to protect them. Nevertheless, in the constitutional referendum held on 30 June to confirm Otunbayeva as president and to facilitate the country moving towards a parliamentary democracy, those in favour secured an overwhelming victory. During the unrest, Otunbayeva did call on Russia to send troops to quell it, but Russia delayed in doing so, no doubt wanting to avoid getting embroiled in a conflict that is essentially domestic. It has been suggested that the Russians were holding out on sending troops in order to put pressure on Otunbayeva to have the US military base at Manas removed from the country, but in fact Otunbayeva did offer that option, yet still the Russians were reluctant to intervene, presumably since it was far from clear that such intervention might not make matters worse rather than better. What is it that could have led to the restoration in southern Kyrgyzstan of pogroms unknown since the days of the blackest Tsarist reaction? The answer lies chiefly in the dire poverty into which the people of Kyrgyzstan have been plunged since the break-up of the Soviet Union, combined with the desperation of those who see no solution whatever to their grim situation since the restoration of communism is ruled out of order. In the absence of a strong communist movement that can unite all the downtrodden to fight and overthrow their exploiters and oppressors, workers are easily mobilised by reactionary forces to fight each other in times of crisis – and this is what is happening in Kyrgyzstan. The problems faced by the masses in Kyrgyzstan since the break-up of the Soviet Union are terrible. Whereas in its last Soviet days, per capita GDP was in the region of $1,550, by 1993 it had dropped to $850 and by 1997 to $440. Although it has recovered to some $940, nevertheless there has been a huge decline. For a start, it is estimated that in 1991 at least 12 percent of Kyrgyz GDP came from transfers from the Union budget. That support vanished overnight when the USSR collapsed. Both agriculture and industry were decimated in the years immediately following Kyrgyzstan’s independence. IMF figures reported agricultural output of Kyrgyzstan falling 9 percent in 1991, 19 percent in 1992, 10 percent in 1993 and 15 percent in 1994. In the period between 1992 and 1995 industrial production fell by two thirds, with the privatisation of state-owned businesses leading to asset-stripping and many a closure, with the losses of thousands of jobs that had previously been absolutely secure. And all this was accompanied by massive inflation. Unemployment affects at least 20 percent of the population, while 40 percent of the population now live below the poverty line. In the context of Kyrgyzstan, where there is no welfare provision, this means that people are going hungry. The food subsidies that protected the poor were phased out by 1994. Moreover, in Soviet days, the infrastructure for supplying water was maintained by the state at no cost to the recipients. Today, the recipients resent having to pay for water and, furthermore, not even the minimum necessary maintenance work is done to maintain the infrastructure, which is rapidly crumbling and unable to cope with increased demand. This has led to land hunger and periodic riots throughout Kyrgyzstan. In the south, it became a cause of communal antagonism. During Soviet times, when there was full employment and a rising standard of living, differences between ethnic Kyrgyz and ethnic Uzbeks were not antagonistic. Prior to the Russian revolution, the Kyrgyz had been largely nomadic people living off herding animals, while the Uzbeks were more settled, in agriculture in the countryside, and in trade in the towns. Inevitably, this meant that, while the vast majority of the population of Kyrgyzstan was suffering severely, the situation of ethnic Kyrgyz, whose lives were tied to the breeding of animals, was the most seriously affected of all. In addition, the free health and education services of Soviet times, and even the free water supplies, vanished. Faced with this situation, it was not difficult to turn the grievances of ethnic Kyrgyz against those whom circumstances had made marginally better-off than themselves. The Uzbeks were traditionally more settled in towns, where poverty was not as dire as in the countryside (rural poverty today stands at something like 70 percent). Communal problems had already begun to be inflamed during the market socialism period in the Soviet Union, in the period when Turdakan Usubaliyev was first secretary of the Kyrgyz Communist Party, between 1961 and 1986. He was responsible for increasing the size of the administrative apparatus in the country, ie, creating thousands of government jobs. However, most of these were allocated to ethnic Kyrgyz, even in the south of the country where Uzbeks formed a substantial part of the population. This was quite possibly because even under market-socialist reforms, the ethnic Kyrgyz were more likely to have lost their jobs than others. Nevertheless, the result was that the Uzbeks began to feel that the government had ceased to represent them. In their turn, the Kyrgyz resented the fact that Uzbeks appeared to be taking all the best jobs in the retail and consumer sectors – which would not have been surprising, given their longer traditional association with the town. In 1989-90, two events took place that inflamed that resentment. In 1989, a decision of the Supreme Soviet made Kyrgyz the state language and Russian the language for “inter-ethnic communication”, leaving no status at all for Uzbek. Since fluency in the Kyrgyz language was a primary requirement of all government jobs, this created an advantage for those whose first language was Kyrgyz at the expense of Kyrgyzstan’s other communities. Along with the policy of pro-Kyrgyz discrimination in the allocation of government jobs, this policy led to there being in the mid 1990s only 4.7 percent Uzbeks in key posts in the Osh regional administration (whose population is 25 percent Uzbek), while only two Uzbeks held positions in Jalalabad (whose population is 40 percent Uzbek). Then, in 1990, under pressure from Kyrgyz youth activists threatening land seizures if the authorities failed to allocate land holdings to Kyrgyz families, the local government responded by making them a small grant of land from an Uzbek collective farm just outside Osh. This gave rise to the first outburst of communal rioting, in which some 200 people were killed before it was contained by the Soviet army and interior ministry troops. In addition, contradictions between Kyrgyzstan, on the one hand, and its neighbour Uzbekistan, on the other hand, also tend to rebound on Kyrgyzstan’s Uzbek minority. These contradictions have become antagonistic under conditions of capitalism, as each tries to exact the highest possible price for its exports while paying the lowest possible price for its imports. This is not the only source of tension between the two countries. Uzbekistan resented Kyrgyzstan joining the World Trade Organisation, and Uzbekistan’s Islamic Movement has conducted violent forays into southern Kyrgyzstan, simultaneously angering the Kyrgyz government as well as the Uzbek government, which blames its Kyrgyz counterpart for not doing enough to assist it in suppressing the fundamentalists. Hence it is understandable how the land hungry Kyrgyz could so readily be led by a disreputable puppet of imperialism such as Bakiyev into pogroms aimed at driving ethnic Uzbeks into exile and stealing their land. This is, however, no solution to their problems, since the Uzbeks they have driven out were hardly any better off than they are. Redistributions of privately-owned land, whether peaceful or violent, cannot change the disastrous state of the underlying economy. It is clear as daylight that what has caused the present suffering of the masses of Kyrgyzstan is the overthrow of communism, and that only its restoration can pave the way for the recovery of a civilised and secure existence. However, the name of communism has been sullied by its association with market socialism under which the fortunes of the masses of Kyrgyzstan began their decline. The need for a communist party to provide leadership to the masses in their struggle to assert their rights and to restore their power has also been obscured by the fact that many of today’s leading bourgeois politicians, who embraced not only market socialism in its day but also the full-scale transition to capitalism that has been nothing less than a disaster for ordinary people, were leading members of the local Communist Party before the Soviet Union collapsed. The contempt in which these traitors are quite rightly held, must not be allowed to spill over into rejection of the need of communist leadership of the working class so that the masses can reassert their dictatorship over the disgraceful and corrupt elements who are today profiting from their misery. This entry was posted in Kyrgyzstan, Soviet Union and tagged color revolutions, Communist Party of Great Britain (Marxist-Leninist), CPGB-ML, Former Soviet Union, Kurmanbek Bakiyev, Kyrgyzstan, lalkar, national question, Tulip revolution. Bookmark the permalink. I hope you’re not suffering under the delusion that the Soviet Union of the ‘pre-market-socialist’ days is what’s needed. It was unsustainable, which is what led to the reforms in the first place, however piss-poor they were. Some fresh thinking is needed here, and elsewhere. The notion that Soviet socialism was unsustainable is reasonably easy to debunk. In fact, Soviet socialism did far more than sustain itself for many years. It transformed old Russia — a backwards country barely entering into capitalist production — into one of the world’s foremost industrial, military and scientific powers. Georgi Zhukov, the top Soviet general of World War II, once remarked that the mystery of the German invasion was not why the Germans lost but — in light of the vastly superior Soviet industrial capacity — why the Germans ever thought they could win. No one would ever have said that about the German campaign in Russia 27 years earlier. Tsarist Russia never put a man in space. If Soviet socialism could grow and improve to such an incredible extent, it’s fairly obvious that there was no absolute barrier to maintaining it. The fall of Soviet socialism was an absolute tragedy for the Soviet Union. It resulted in life expectancies plummeting ten or fifteen years in Russia and far more in places like Kyrgystan. Russian GDP fell about 50% over the course of the 1990s. Unless you have friends who lived through this, it may be hard for you to understand exactly how terrible this was. It was, in effect a genocide. I have a couple of questions to Carl Davidson. 1, “Unsustainable” is a pretty broad term. What do you mean by it? 2. Did Khrushchev represent any essential turning of the Communst Party from the Lenin/Stalin period? Interesting article, and many northern Kyrgyz long for the days of “Mr Lenin”, it’s true. Many of the problems that the country faces, though, are a result of a complete absence of leadership following the withdrawal of the Soviet Union. I’ve met people from both the urban and rural proletariat who still living in shell shock from having the rigid control of their lives imposed by the Soviets removed. With the failure of the school system after 1991 in particular, there was nothing to help a generation through the transformative process, leaving a vacuum for ‘traditional’ practices – or strange perversions thereof – like bride kidnapping and ethnic resentment to become well established. The way ahead isn’t necessarily the re-establishment of communism – Kyrgyzstan prospered under Communism because it was a net importer of goods and services from outside its own borders, unless the entire Soviet Union is restablished, a change of government won’t do anything to regenerate this resource poor country. Massive investment in the school system and support for the small scale workers’ co-operatives which were springing up around the country before the fighting in June will do far more to promote an atmosphere of tolerance and productivity than yet another regime change which will be resented by a significant proportion of society. Well, I can’t help thinking that if it were really a matter of the loss of Russian subsidies that caused these problems then things would have gotten worse in Kyrgyzstan but better in Russia. Since in fact they got dramatically worse in both places, it seems much more likely to be a result of the complete change in economic systems which both countries underwent. As to the suggestion that marriage by abduction has become widespread because the communists are no longer telling people what to do, it seems like a rather significant stretch to me. I think you would have to get very confused indeed before you would start to think kidnapping a woman and forcing her to marry you was a good choice. And I think it is more than a coincidence that the particular acts of the befuddled Kyrgystanis happen to have deep roots in Kyrgyz culture. Let me suggest an alternative scenario: Feminism in Kyrgystan was a communist movement. The anti-communists were mainly anti-feminists as well. The fall of communism was likewise the fall of feminism. That’s not quite what I was saying. The problem is that people moved from an incredibly regimented lifestyle where they were told what to do, where to work to absolute anarchy in a few days. Around Osh and Jalalabad it was a switch from mechanised, collective farming to stone age small holdings overnight. The moral vacuum was filled with vague memories of the traditional past and wandering holy men. People were – and still are – very confused. Depressed, disempowered, quick to pick up on anything they can blame for their situation. The state has been no help: provision of services like healthcare and education is still based on communist era passports and papers, which are literally unobtainable – literally, one contract to provide them fell through after the Kyrgyz paid for it – by the rural poor. The communism/feminism argument is, I think, a little simplistic – from what I’ve seen the line of causality is that extreme poverty and lack of education regardless of political system inevitably leaves women worse off. In Kyrgyzstan the historical bride kidnappings – which for the most part were largely symbolic – became a convenient hook to hang an aspect of domestic abuse on. It’s not really fair to make a comparison between Russia and Kyrgyzstan – Russia was the focus of attention and got lots of the shock and awe treatment to break its economy, while Kyrgyzstan was more or less left to flounder by the rest of the world.